Link to my really personal bio! as playing one," he said. It was the birth of the brass. The group won a major chamber music competition, which was rewarded with a debut appearance at Carnegie Hall. Since then, Epic Brass has appeared in 46 states, as well as Austria, Bermuda, Canada, England, France, Germany, Poland, Scotland, and most recently the Far East. The group has seven recordings on Ars Nova Digital, including the children's release "High Flying Horns! An introduction to the Brass Family, narrated by Raney". Regular performances on radio and television include National Public Radio's "Performance Today", and their home town favorite WGBH "Morning Pro Musica". Although Raney refers to the group as having classical bones, it moves easily from baroque to Bernstein to the Beatles, balancing serious musical interpretation with light-hearted entertainment. Considering his own history, it's no surprise that Raney and Epic Brass are interested in education. This year, in addition to a full evening concert schedule, the group will do more than 100 school performances and residencies. "We want to make sure that kids know there's more to music than MTV," Raney said, "that you can play an instrument you don't have to plug into a wall". 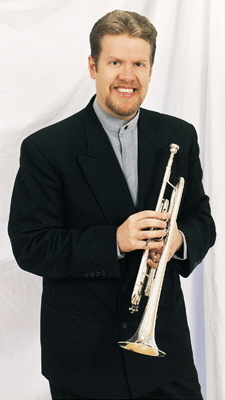 Earl Raney, is founder and director of the award winning Epic Brass Quintet. (Roster Artist for the Massachusetts Cultural Council, Cultural Educational Collaborative, and the New England Foundation for the Arts.) Since founding the Epic Brass in 1983 he has given over 1400 performances in 46 states, with appearances at the Kennedy Center, Weill Recital Hall, and Carnegie Hall to name a few. Internationally, Mr. Raney has concertized in Canada, Bermuda, Jamaica, US Virgin Islands, England, Scotland, France, Austria, Germany, Poland, Italy, Switzerland, and the Far East. In addition to his chamber music career, Mr. Raney has performed in several New England area orchestras and as principal trumpet of the Taipei Festival Orchestra in Taipei, Taiwan, R.O.C. Balancing a dual career as trumpeter and conductor, he is Music Director/Conductor of the Great Woods Chamber Orchestra, Southeastern Massachusetts Wind Symphony, and the Atlantic Wind Symphony. During the summer Mr. Raney conducts the SMARTS Summer Winds Symphonic Band performing at the Tweeter Center for the Performing Arts. He is an adjunct Professor of Music at Atlantic Union College, Assistant Professor of Music in Performance at Wheaton College, and former Director of the Thayer Performing Arts Center in South Lancaster, Massachusetts.